This is a fabulous present for any West Ham United FC fan and is approved and fully licensed by the club. We merge your recipient’s details into the design, making this a truly unique gift. Our West Ham United FC mugs are dishwasher and microwave safe. 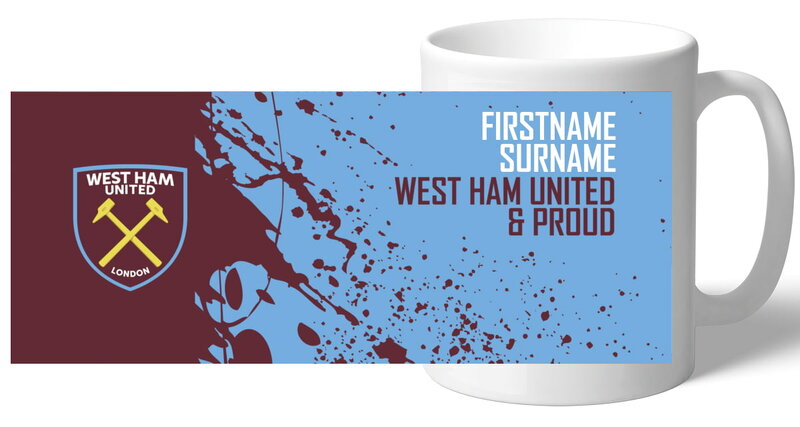 Our personalised 100% West Ham United FC mug is a great present for any West Ham United FC fan! Do you know a dedicated Reid fan? This stunning gift is sure to raise a smile, as the recipient receives a personal message from their favourite West Ham United FC player. Our personalised Street Sign Mug is a fabulous present for any West Ham United FC fan and is approved and fully licensed by the club. 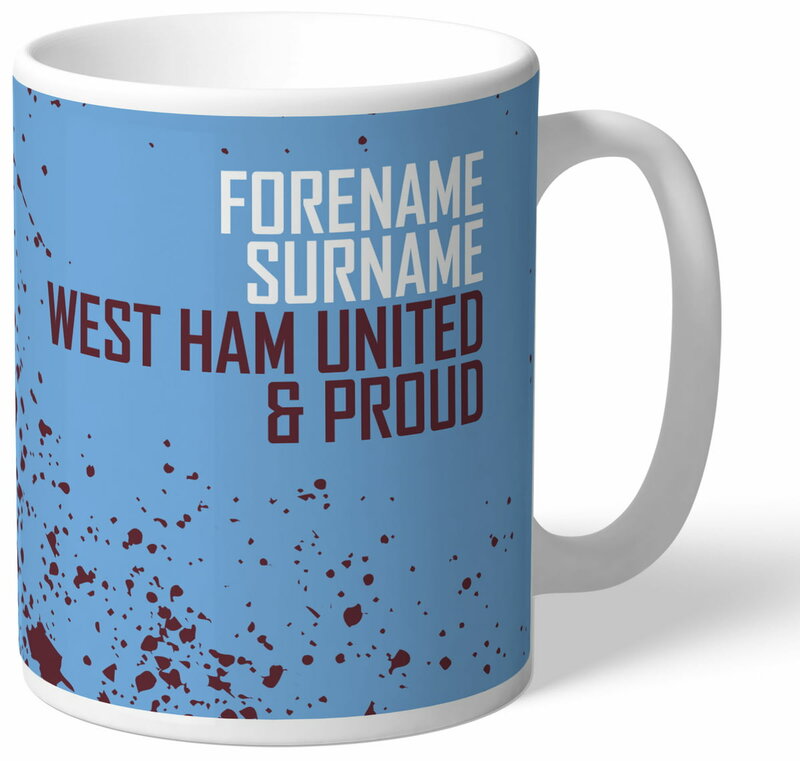 This truly stunning gift is sure to raise a smile as the recipient sees their personalisation on the West Ham United Evolution Mug.